My super-prolific friend Chris Berthelsen has released two small self-published stories. 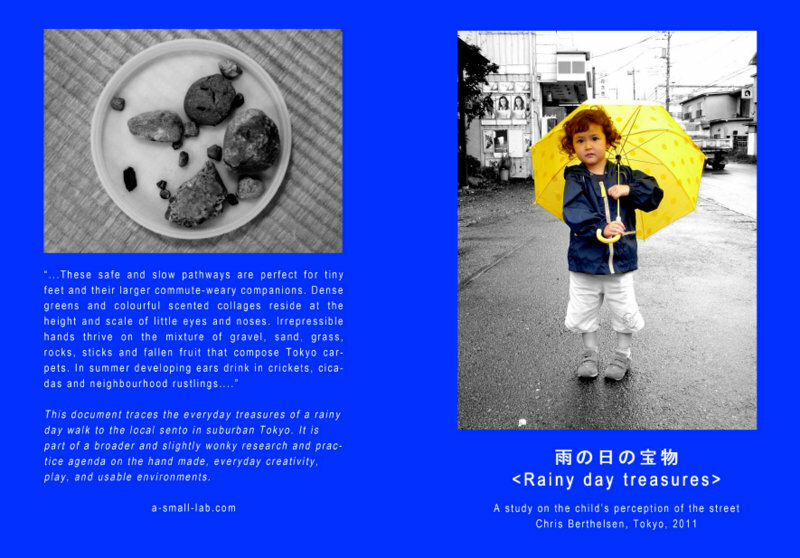 The first is “Child Scale” or “Rainy Day Treasures” about how Tokyo streets look, smell, and feel for kids. Chris’ writing, mappings, and photographs follows a rainy day walk to the local public bathhouse with a four year old. It’s a rich observation and reflection on play and creativity. The street is the ultimate shared space in our cities, for a variety of ages, walking and transit. After reading Child Scale, I’ll pay more attention to the “floorscape” than my usual rushing or daydreaming. Child Scale is just $3.50. You get a 112 page download, with A5 print and screen resolution PDFs. The Huffington Post and Atlantic Cities have already referenced this digital booklet. It will be enjoyed by those wanting to think more about Tokyo, urbanism, children, play, and creativity. The second booklet is by Chris’ son Tonka, who writes about his Tokyo Spider Research. 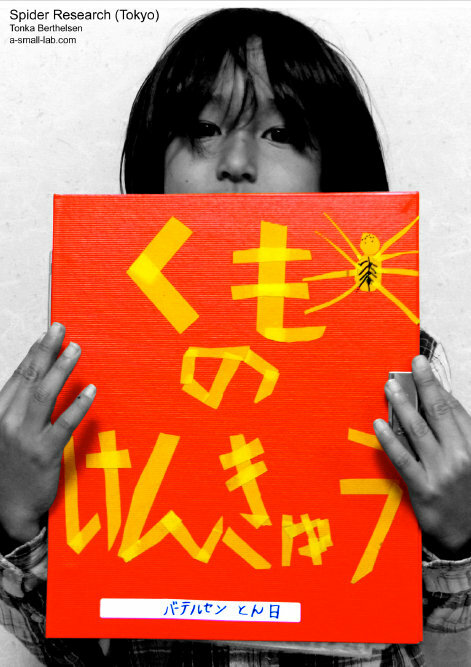 It’s a 19 page booklet that examines spiders found inside and nearby a Tokyo apartment. Tonka’s handwritten notes and photographs provide a detailed document about some of the small creatures sharing our urban lives. The booklet is in Japanese and English, and will certainly inspire you to look more closely at the あimmediate environment around you. It’s just $2 for the download. I love his graphic style!